Geneva, January 15th. 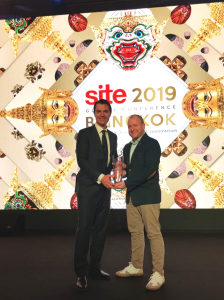 Ovation Global DMC – Switzerland was recognised by Society for Incentive Travel Excellence (SITE) with a Crystal Award for Excellence in Incentive Travel: Europe at the Crystal Awards Recognition Ceremony held during SITE Global Conference 2019 in Bangkok, Thailand. 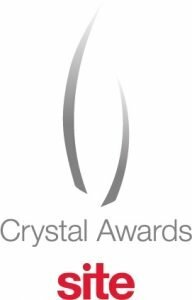 Considered the highest honour in the incentive travel industry, SITE Crystal Awards recognizes creative, practical, and truly memorable incentive programs that keep employees engaged, drive business results and improve a business’ bottom line. Michelin North America, approached Ovation with the challenge of organising and delivering an exclusive driving experience incentive programme to reward Michelin’s top distributors and high-end clients for their loyalty and increased sales. The incentive was designed to connect the two sides of the business, allowing guests to experience Michelin tires and starred cuisine. Michelin is rated the top-end tire manufacture in the world; directly linked to the Michelin Guide to fine dining, a series of guidebooks the company has published. Keeping in line with Michelin’s expectations for elegance and delivery of high-class experiences, Ovation managed to successfully assemble a collection of the world’s best cars for the ultimate driving experience, included Switzerland’s top-rated hotels and restaurants for fine dining and mapped out a picturesque route along the country’s finest scenery, following highlights of the Grand Tour of Switzerland. Over a six-week period, five waves of approximately 20 guests were immersed in the finest treatment and most exceptional experience in line with Michelin’s goals. In addition, Renato Grieco, Director of Business Development at Ovation Switzerland comments: “Logistics throughout the 5 waves were complex and very specific. Pre-operation processes were long and required a good mix of deep destination knowledge and diplomacy, in order to have all partners aligned and fully aware of the expectations of this important event, but the results were amazing”. Ovation Global DMC is a Destination Management Company. We have been servicing associations, corporations and agencies in 100+ destinations throughout Europe, Middle East, Africa, Asia, North America and South America for more than 25 years. With our extensive local expertise, creativity and resources we specialise in designing and executing your event objectives from logistics to exclusive high end programmes. Our company is often referred to as the meeting planner’s guardian angel, ensuring the highest standards of delivery and critical planning for success. People and relationships are in the DNA of our company. Through our openness, passion and expertise we make your vision a reality. We make it happen! Find out more at www.ovationdmc.com and follow us on Facebook, Instagram, Twitter and LinkedIn. Ovation Global DMC collects your personal data to process your request and respond to you.